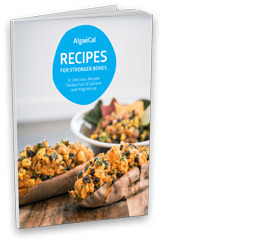 Compare the popular AdvaCAL calcium supplement to AlgaeCal Plus. Calcium – AlgaeCal is organic plant source calcium from marine algae – AdvaCAL is inorganic and laboratory made. AdvaCAL calcium starts out as calcium carbonate but then it is heat treated to create calcium oxide and calcium hydroxide. 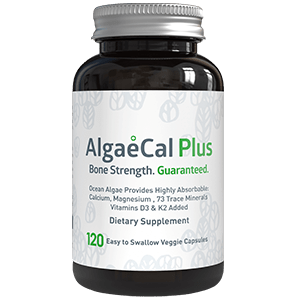 The bottom line is that AlgaeCal is a naturally occurring calcium and mineral supplement, what you rather put in your body? 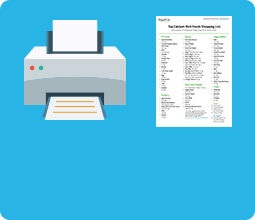 Vitamin D – In 2006, three significant research papers were published in peer-reviewed medical journals by different respected authors, each coming to the same conclusion. You need more vitamin D than the recommended amount for adults of 400 IU per day – actually much more.1-3 A daily serving of AlgaeCal gives you 1600 IU of Vitamin D3 where AdvaCAL only gives you 200 IU of Vitamin D3. AlgaeCal offers an iron-clad guarantee! 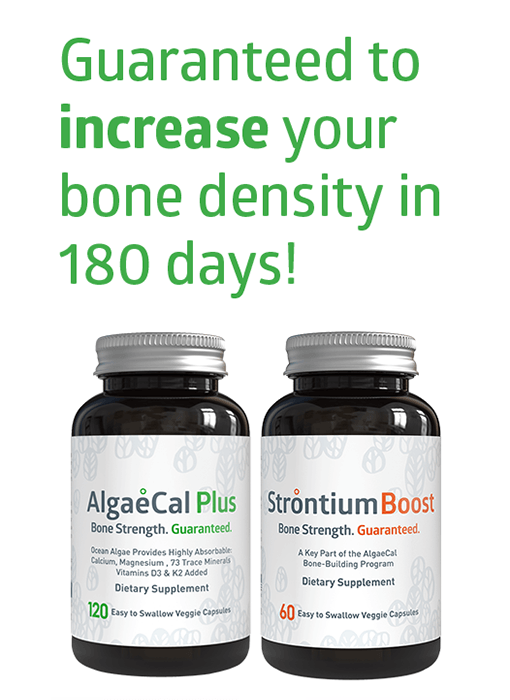 Guaranteed bone growth within 180 days when taken with Strontium Boost or your money back. 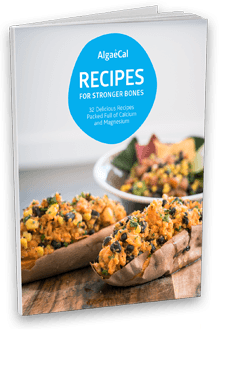 If you are serious about your health and are concerned about bone health then have to consider the facts. 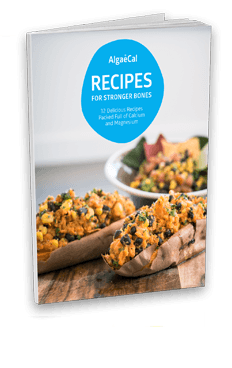 AdvaCAL calcium does not contain the clinically proven bone building ingredient Vitamin K2 and lacks the adequate amount of Vitamin D. Also, the calcium form does not compare to organic, whole food, plant-source AlgaeCal.